My little men enjoying some yum in a bowl while lounging in bed...like the kings they are. If I was as lucky this morning, this would hit the spot just perfectly! 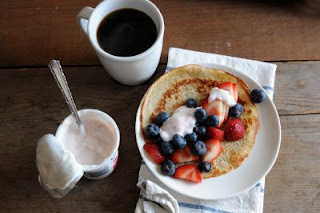 Check out simplybreakfast.blogspot.com for delicious breakfast ideas and mouth watering pics.